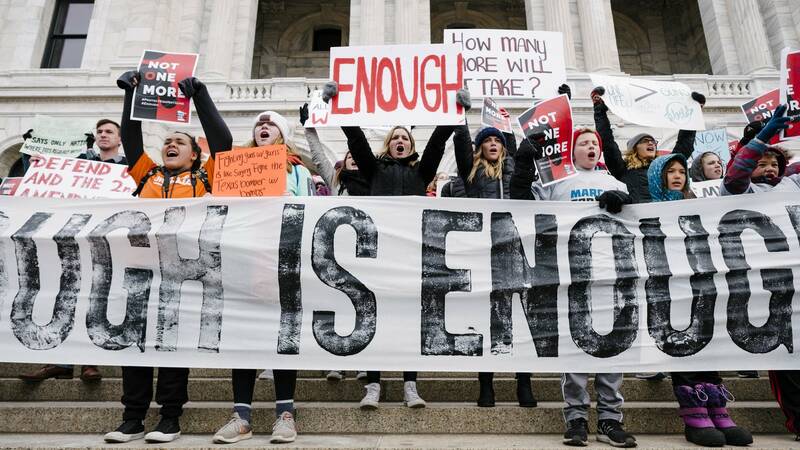 Updated 1:25 p.m. | Posted 4 a.m.
Thousands of Minnesotans rallied outside the state Capitol Saturday following a student-led march that began at St. Paul's Harriet Island as part of a nationwide protest against gun violence. 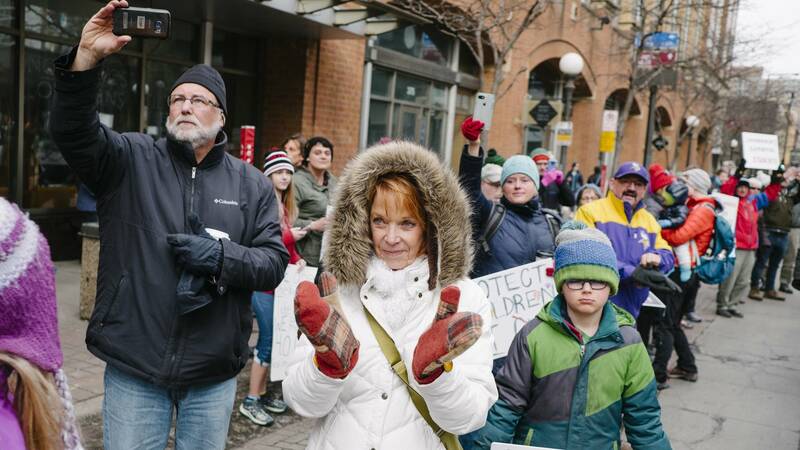 Lawmakers, students and gun violence survivors urged the Minnesota March For Our Lives crowd to press for stronger gun control and school safety laws in the wake of the killing of 17 students and staff last month in Parkland, Fla.
"It's nothing short of inspiring to see all these people come out to call on our legislators to take sensible action with regard to gun legislation," said Austin Berger, a 19-year-old University of Minnesota student. 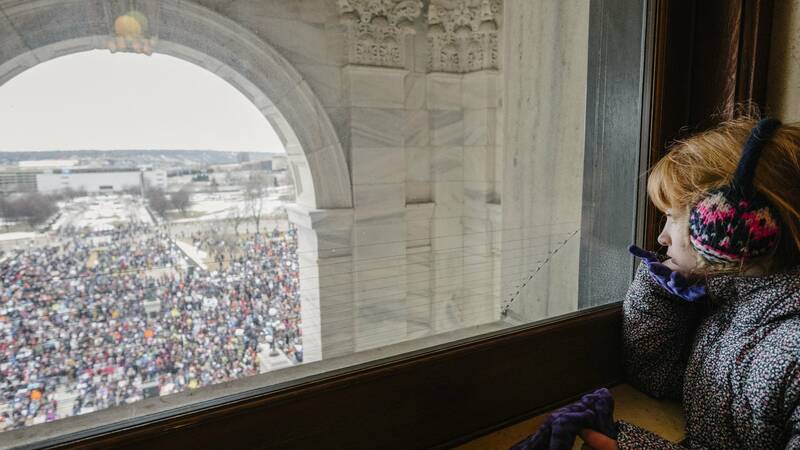 St. Paul Police estimated about 18,000 people moved through the city and onto the Capitol grounds. Later in the day, Minnesota State Patrol put that number closer to 20,000. By comparison, the crowd estimate for last year's women's march in St Paul, one of the largest rallies in Twin Cities history, was about 100,000. 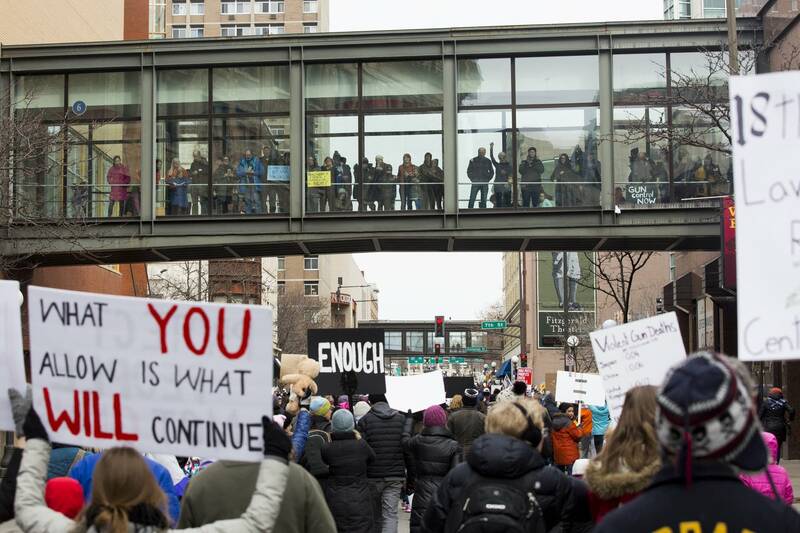 More than a dozen similar demonstrations were planned Saturday across Minnesota, including Willmar, Brainerd, Duluth and Winona. 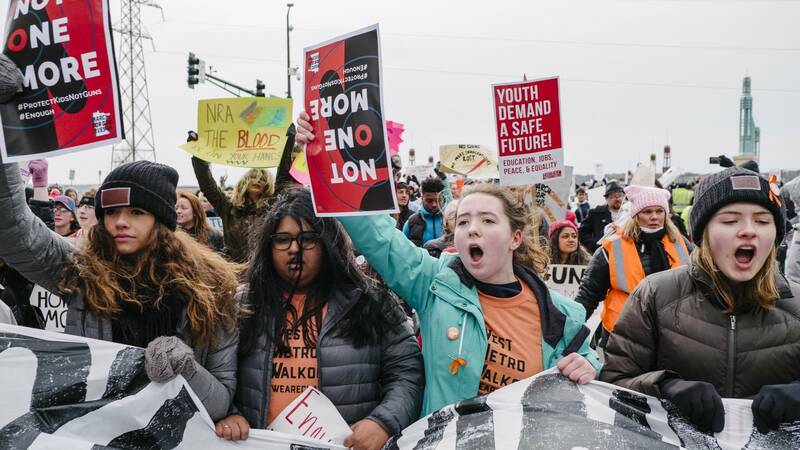 The flagship March For Our Lives in Washington, D.C., drew hundreds of thousands of people to Pennsylvania Avenue as part of a nationwide demonstration led by survivors of the Marjory Stoneman Douglas High School killings. 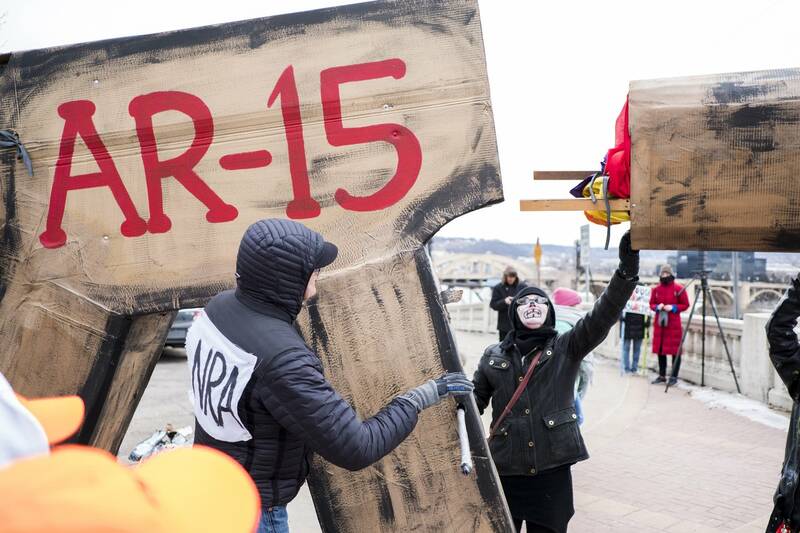 The organizers of the Washington demonstration used the event to call for stricter gun control measures including bans on assault weapons and high-capacity magazines and tighter background check rules. Coincidentally, students from Marjory Stoneman Douglas High were in the Twin Cities this week to play in a hockey tournament. During Saturday's Capitol rally, one of the students, senior Joey Zenobi, paid tribute to his friend Joaquin Oliver who was one of the 17 killed by a gunman at the school on Valentine's Day. "Never again will a community be brought together by such a tragic event," he told the crowd. "Never again, never again will anyone have to make a speech like this." 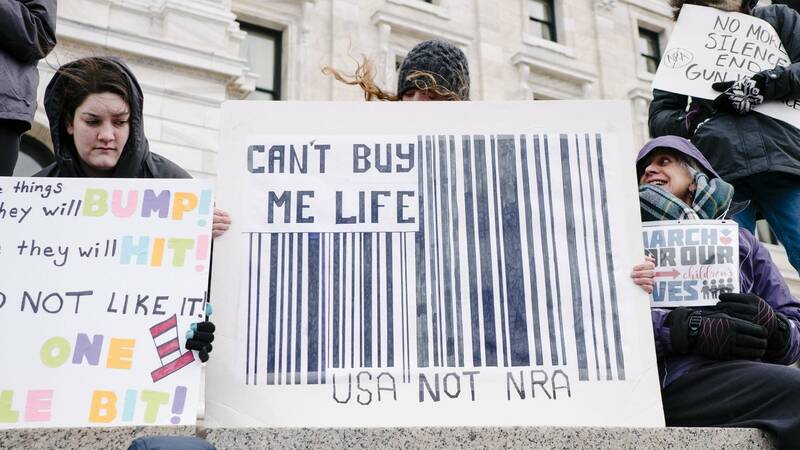 The student organizers of the event say they plan to keep pressing lawmakers to consider bills that would bring greater gun control measures to Minnesota.